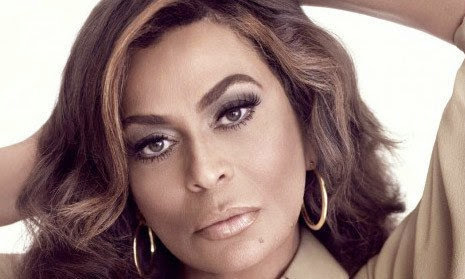 Tina Knowles, Beyonce's mum has finally opened up on her marriage and divorce after 33 years of being married to Matthew Knowles. The 60-year-old designer was the keynote speaker at the Woman & Money Leadership Luncheon in Houston, Texas. I started reading my art books. I love art but I had never had the time. I started traveling. I would travel with my daughter [Beyoncé] but not to work! I would say, ‘No I’m not working.’ I had my girlfriend who would make me laugh. I sent for her and she would come on the road and we would go to museums, we would go to lunch and we would just laugh. And I just really had forgotten how to live. I had just lost all of myself so I realize now that part of the low self-esteem was, yes, being 58 and having to start over again, and the other part is that I just lost myself. That I was so busy working and going and taking care of everybody else that I just forgot about Tina. The whole thing about dating was the scariest thing in the world! I would tell my friends, ‘Where am I gonna find somebody at 59 years old? Where do you meet men? Where do you get them? And they’re all gone.’ It was really funny so I just focused on myself. I hear that my ex-husband is getting married. Now this is my family. My ex-husband is my family. I don’t want to get back into that at all, that’s not what I want. But it still hurts a little bit, right? It’s still a blow to your ego. So I call my crazy friend Monica to take care of me the week of the wedding.